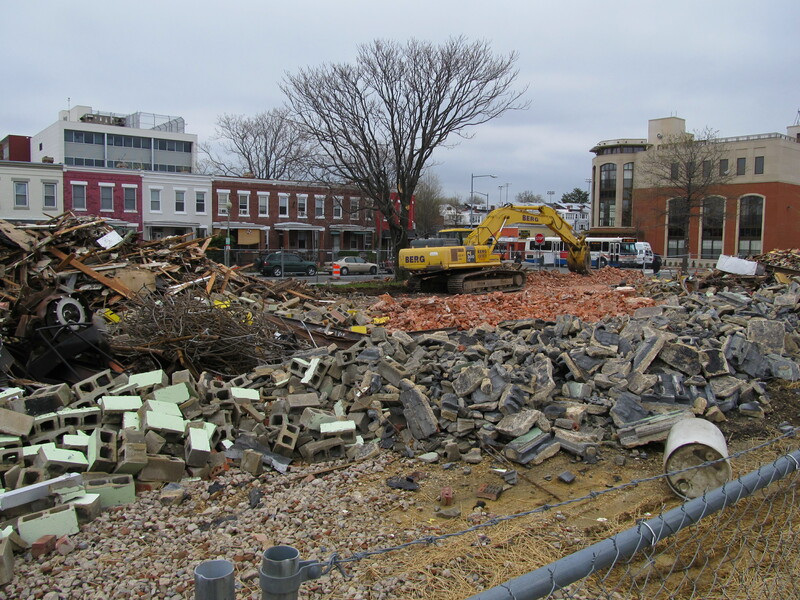 Landex Corporation’s Avenue Project (Park Morton) Begun, Demolition in Full Swing | Park View, D.C. While it’s certainly seemed like a long time coming, there is no longer any question about the future of Landex Corporation’s The Avenue, which is considered the first phase of a redeveloped Park Morton and located on the southwest corner of Newton and Georgia Avenue. 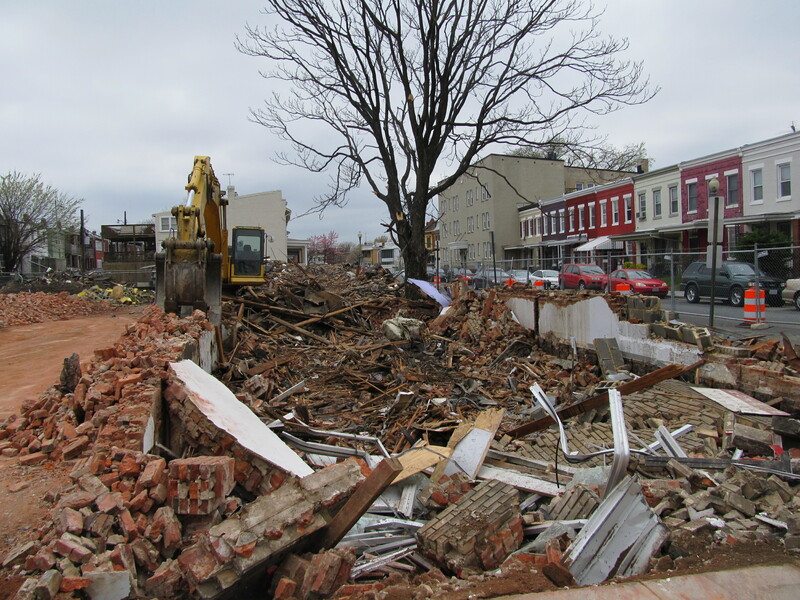 As recently as April 4, 2011, equipment arrived and interior demolition of the site began. 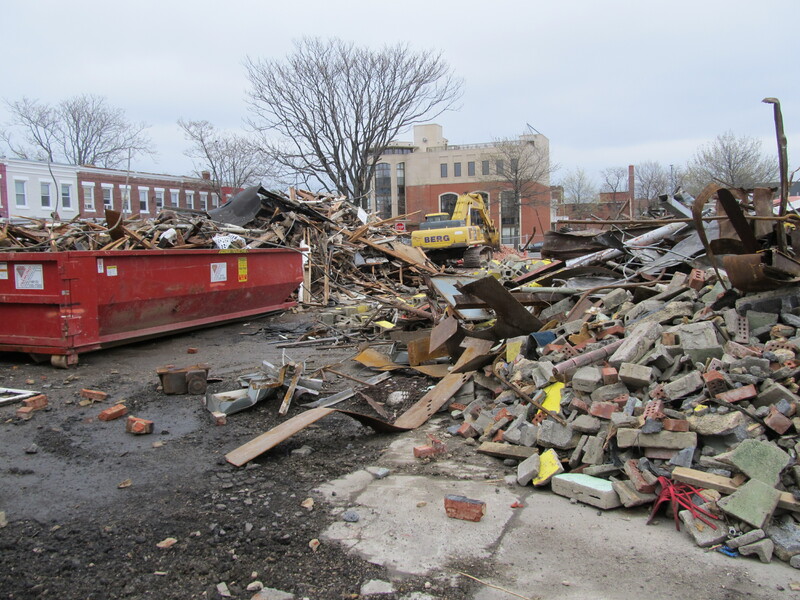 As of today, all that is left of the Newton Variety Mart, the empty apartment building, and the car wash are piles of rubble, which you can see below. 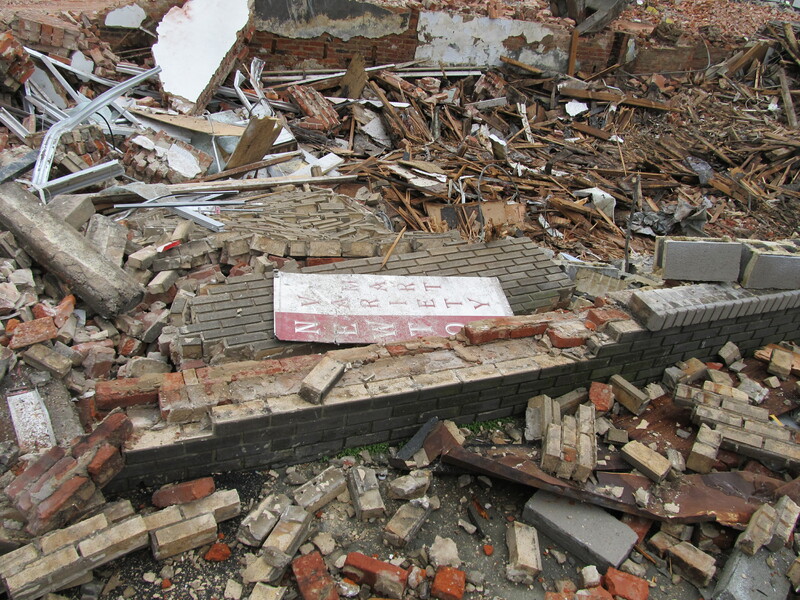 This entry was posted on April 9, 2011 at 6:12 pm and is filed under Development, Housing. You can subscribe via RSS 2.0 feed to this post's comments.